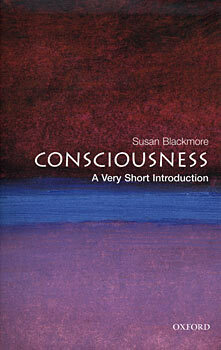 Having been inspired by the book "The Meme Machine" in the past, I was happy to find out its author Susan Blackmore had also written a book on consciousness, a subject I wanted to learn more about. When you think about it, it's problematic to define what consciousness is, as consciousness itself seems inherent to the process of understanding it. But the book showcases a large variety of takes on the subject while still being opinionated, and is understandable for amateurs like myself. A criteria that stands out most is subjectivity, something like "How do things seem to me", opposed to how they are objectively (if there even is a thing as objectivity). Related to subjectivity, Susan Blackmore mentions qualia, the subjective qualities of experience, for example the redness of red or the smell of terpentine. We cannot be sure that others experience these in the way we do. When you think of phenomena like out-of-body-experiences, it seems plausible that the mind is something that happens independent of the human body. People seem to intuitively favor this dualism, just think of the popular concept of the "soul". However the crucial question is, if mind and body are seperate, how do they interact? There is no way to prove this. A simple counter argument are psychoactive drugs, they are consumed by the body and have significant effects on consciousness. So if consciousness happens within the body, you would naturally expect it to be somewhere in the brain. A naive idea is that an observer sits inside our heads and looks outside, with a spotlight on things of interest (hence the name Cartesian Theater), resulting in a continuous stream of consciousness. However, no part of the brain seems to be exclusively responsible for this, there is no central processing unit like in a computer. Things happen non-linear and in parallel. There are other interesting experiments, but I don't want to spoil anything, just talk to me and I will show you another one that I find particularly intriguing. There are also scientists who argue that the concept of "self" and "I" is also an illusion. Dennett compares the concept of "self" to the centre of gravity in physics: something that doesn't physically exist, but is a helpful metaphor. He argues (and Blackmore agrees) that life is only a series of unique, individual experiences, which the brain seems to weave into a powerful story of a continuous self. This has really grave implications - there are experiences, but no one who experiences them. There is not only no Cartesian theater, but also no audience in it. No I, no self, no free will - bummer. But things are not as bad as they seem. Susan Blackmore shows that meditation yields in exactly this, a state where the self is removed from the equation. In meditation your brain waves can reach alpha or even theta levels, which is somehow similar to the state of infants who are unfamiliar with the concept of the self. These kind of brain waves seem to improve our well-being - I remember having read this in Gunter Dueck's books as well. So the conclusion to me is: relax. Don't take yourself (meaning: your self) too seriously, it's just an illusion. An illusion and, well, still a helpful metaphor. If you want to read this book, you can buy it at Amazon.